We LOVE Halloween here at NEEDaFIXER. Not just for the sweets, the costumes, the facepaint and the trick or treating. You see, we are HUGE fans of Halloween films. In truth, we can’t help but dive into our favourite Halloween movies of all time. And not just for the gruesome plots. The film techniques involved with Halloween filmmaking are awesome. When it comes to shooting Halloween movies, filmmakers must concentrate on suspense. There is a clear difference between the film techniques used in a light-hearted romantic comedy and a raw thriller. Light-hearted movies tend to have a brighter shooting background and a style that covers a wider surface area. 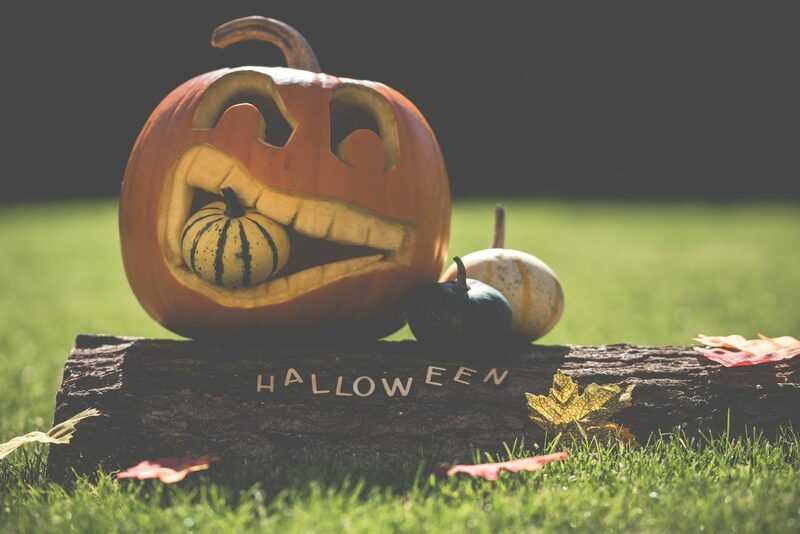 Halloween movies, however, like thrillers, horrors and crime dramas, are usually shot with darker backgrounds and a focused lens, so you never really know what’s lurking around the corner. The original Paranormal Activity teaches filmmakers that it is not always big budgets and advanced special effects that make a Halloween movie come out on top. Paranormal Activity was shot on a low-budget and went on to be highly profitable. Elements of the movie were shot on a digital camera to make the filming seem as true to life as possible, like the characters were home-filming. A lot of the film was actually shot in film director’s Oren Peli’s own home. The amateur theme continues throughout the movie and camera movements remain basic. Most of the filming was done with a simple filming set-up on a camera tripod. The fact that the film is shot in such a true-to-life way only makes it even more chilling! Want to create your own Halloween horror screenplay? NEEDaFIXER is familiar with both simple and advanced filming techniques and can create an intense Halloween screenplay just for you. Another Halloween hit, A Quiet Place is a gripping thriller with little dialogue. The fact that the movie consists of few lines of speech goes hand-in-hand with the intense plot (that a family must remain silent so they won’t get killed by monsters). The director, John Krasinski, ensured that the camera focuses on the small objects that do indeed make sound. Expect to hear the rustling of clothes, the creaking of doors, the thudding of footsteps and the eery impact of every little movement. All accompanied by close-up camera shots. Ironically, Scream is about characters who go to the movies. Even more interestingly, the characters know they are in a horror film and almost know they’re in the plot. The film techniques of Scream reflect this. The shots are fairly indirect. The scenes feature close-up shots, filming of characters’ backs and extreme close-ups. All of which emphasise the unpredictable nature of the film. Take the clip below, for example, it starts with a close-up shot of Casey Becker’s popcorn pan and goes on to focus on her movements around her house. When she is on the phone, we hear her conversation. The film keeps going back to a close-up shot of the popcorn pan as it gets closer to exploding for even more suspense. Notably, when Casey leans on the kitchen side, whilst she is on the phone, she is close to a set of knives. She pulls out a large one as she discusses her favourite horror movie. Feel the tension? We do! We simply couldn’t mention the top films for Halloween without mentioning the cult classic Halloween. Shot almost entirely in low-light and darkness, these dark filming techniques are precisely what makes horror films even more, well, um…scary. 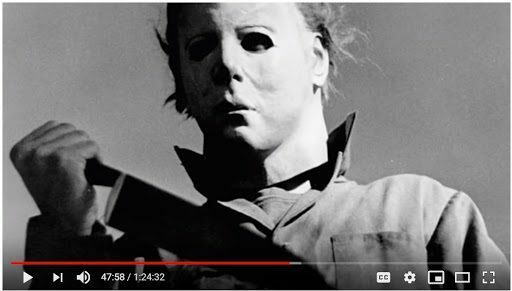 Interestingly, when showing the killer, the camera angles in Halloween are often shot from a low level, pointing up, giving him a sense of dominance and making the killer more powerful. The image below is taken from the film in the Documentary on YouTube Halloween 1978 (The Inside Story). A great watch for horror filmmakers. One of the most striking things about Halloween is the fact that it’s director John Carpenter, who put a lot of work into developing his thriller film-making efforts, almost creates a brand for himself in the movie- aiming “to set himself apart and create a brand for himself” (consequenceofsound). The result? Halloween pretty much changed the genre of horror. A supernatural thriller based on a true story, The Conjuring exaggerates real life through details picked up by the camera. As to what is in each room of the freaky house in the movie, nothing is left to the imagination. The camera is handheld and spans every last nook and cranny. Wide shooting angles, extreme close-ups, over-the-shoulders shots, mid shots and close-ups all come together in The Conjuring to heighten the sense of suspense. A mid shot of a character leading to a close-up is a great way of showing how scared they are, reflecting that onto the audience. Whilst we are inspired by Halloween-themed filming techniques, we explore various methods here at NEEDaFIXER. We are experts in video production and can work with you to suit your needs. Contact us now to get a jump on the competition… if you dare!